Kline's mother was Catholic, and he has lovingly described her as "nuts" for her loud political tirades at the dinner table as he was growing up. His father was a Jewish man who owned The Record Bar in Kansas City, Missouri, but had always dreamed of singing opera. Kline studied music at Indiana University for two years, then switched to drama. He had small roles at the New York Shakespeare Festival, then studied at the Juilliard School, where he was mentored by John Houseman. After leaving Juilliard, Kline joined Houseman's Acting Company, a touring professional repertory. He had a successful career as a stage actor long before the movies beckoned, winning two Tonys, one for playing a hapless, narcissistic womanizer in On the Twentieth Century, and a second for his role as the Pirate King in a Broadway production of The Pirates of Penzance. He received his first film role, in Sophie's Choice (1982), when director Alan J. Pakula and star Meryl Streep saw him in Pirates, and agreed he would be ideal for the film's role of Nathan. 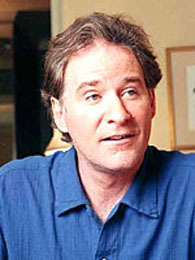 Kline was at the center of the ensemble funeral comedy The Big Chill, the ensemble western Silverado, and the ensemble comedy A Fish Called Wanda (which won him an Oscar). He was also memorable as a crooked president's everyman body double in the Capra-esque comedy Dave, as the soul-dead husband at the center of The Ice Storm, and as a bisexual Cole Porter in De-Lovely.